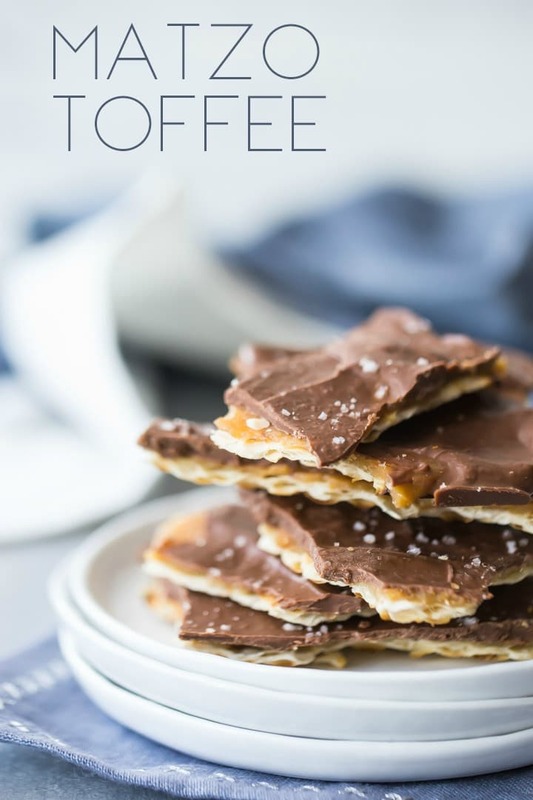 This matzo toffee is a perfect ending to your Passover Seder! Buttery and crisp, with a generous layer of milk chocolate and an irresistible sweet-salty flavor. 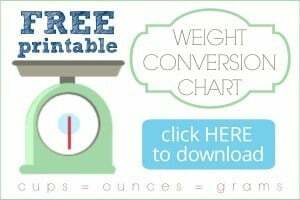 So easy, you’ll want to make it year after year! You may not think it, judging by all the snow on the ground, but Easter and Passover start this weekend! I’m so happy spring is here. Even though it’s still cold AF I’m taking comfort in the fact that this weather can’t possibly be sticking around too much longer. The bulbs are coming up, the stores are filled with pretty pastel treats, and the days are getting longer. Hallelujah! And this Friday night begins Passover, the week-long festival that celebrates the liberation of the Jews from slavery in Egypt. My in-laws observe it every year at this time, and it’s always so nice to get together with them and enjoy a traditional Seder dinner. But there’s one thing that always stumps us is: what to have for dessert?? 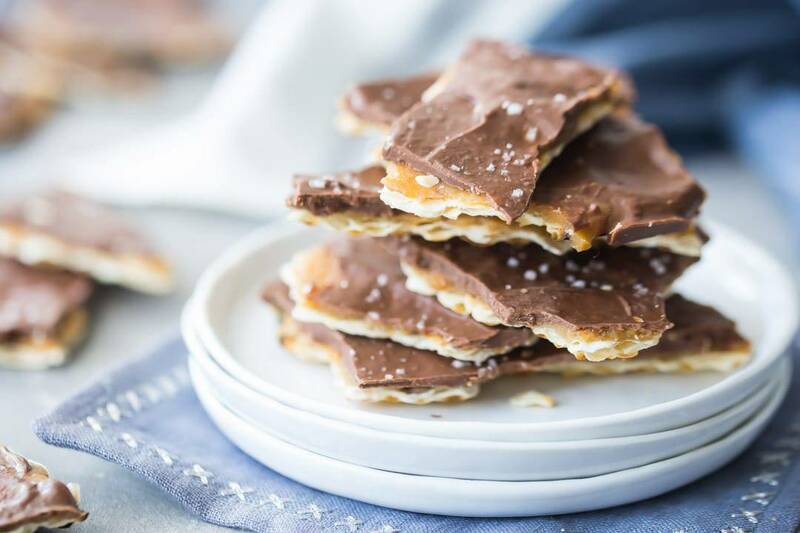 This Matzo Toffee is the answer. For one thing, it’s made from unleavened bread, aka: matzo, which is kinda what Passover is all about. When the Jews were fleeing Egypt, they had no time to wait for their bread to rise. So now, that is commemorated by only eating unleavened bread during the week of Passover. Matzo by itself can be pretty blah (sorry!). It’s basically just a dry, hard, cracker, similar to a saltine* but with even less flavor, if that’s possible! But when it’s drenched in buttery toffee and coated in milk chocolate, something magical happens. The sweet/salty flavor and tender crunch are absolutely irresistible! Your family will be shocked when you tell them this candy is made with matzo. Whether you’re hosting your own Seder, or are just a guest at a friend or family member’s, this will be the perfect ending to your meal. But guess what else?! 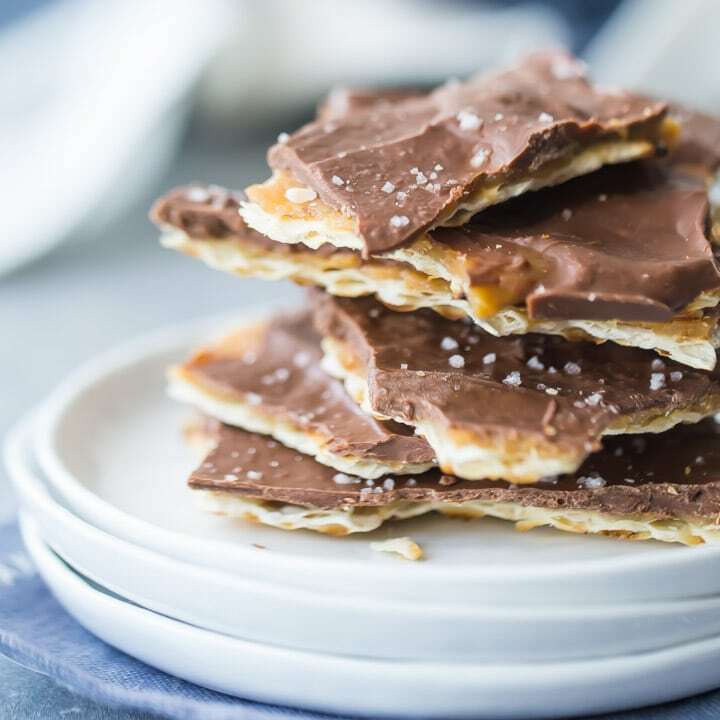 This matzo toffee is super-simple to make. There are only a handful of simple ingredients, and the whole thing is done in around 15 minutes. Maybe even less! HOW DO YOU MAKE MATZO TOFFEE? Just spread the matzo out in an even layer on a baking sheet. It’s helpful if the pan is lined with a silpat, or you can just use foil and give that a light mist with non-stick spray. Then let the butter, brown sugar, and salt simmer together until they reach 275 degrees on a candy thermometer. This takes around 5 minutes, depending on how hot your burner gets. Next, pour the whole glorious mess over the crackers. Top with milk chocolate chips, smooth with a spatula, and sprinkle with sea salt! Once it’s completely cool, break it into shards and start nibbling! 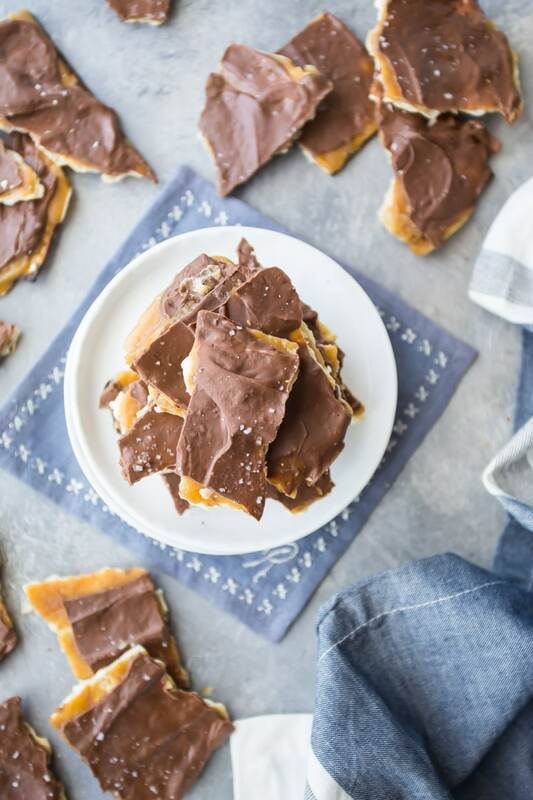 This matzo toffee is a perfect ending to your Passover Seder! Buttery and crisp, with a generous layer of milk chocolate and an irresistible sweet-salty flavor. So easy, you'll want to make it year after year! Arrange the matzo in an even layer on a lined baking sheet. Place the butter, brown sugar, and salt in a medium pot and cook over medium-low heat until bubbling. Clip a candy thermometer to the side of the pot, and continue to cook, stirring, until the mixture reaches about 275 degrees F.
Remove the pot from the heat and pour the mixture over the matzo, using a spatula to spread it in an even layer. Allow the toffee to cool for a few minutes, then sprinkle the chocolate chips on top. After the chocolate chips have softened, use a spatula to spread them into an even layer. such a brilliant and delicious treat for Passover! I love this stuff!! Dangerous to have around, but so yummy! Thanks Beverley! Hope everyone loves it!